The Art of War has always been about maximizing spears/guns versus the enemy. Whether it is in choosing a battlefield with a mountain to your back so that all your spears can face one direction, or sabotaging your enemy’s lines so that he can bring less guns to the front. One of the themes of guns maximization is via logistics. 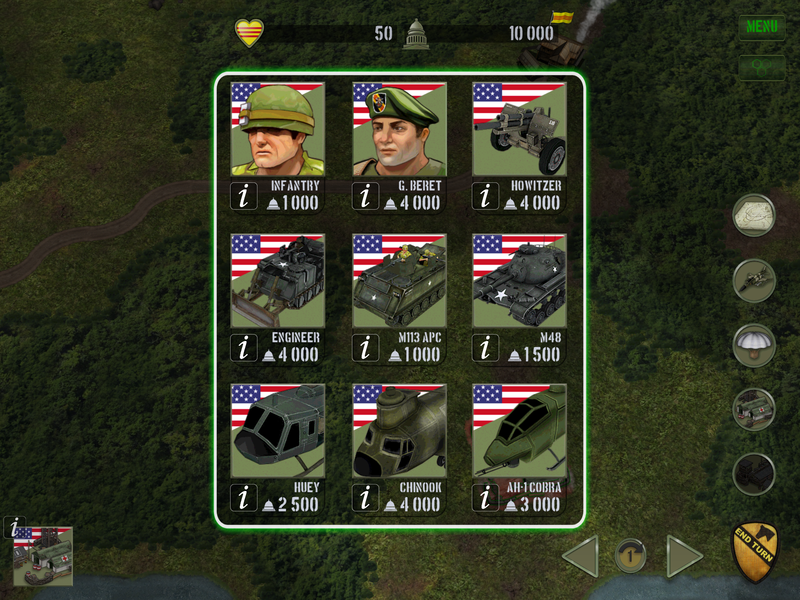 Many battles have been won by bringing more guns to where it is needed quickly, a la German Blitzkrieg (https://en.m.wikipedia.org/wiki/Blitzkrieg); or American Red Ball Express (https://en.m.wikipedia.org/wiki/Red_Ball_Express). It is said that George Washington did not win the American War of Independence because he was a particularly good tactician (he won only 3 out of 9 of his battles), but that he was a good logistics commander and was able to keep his men supplied and fed. 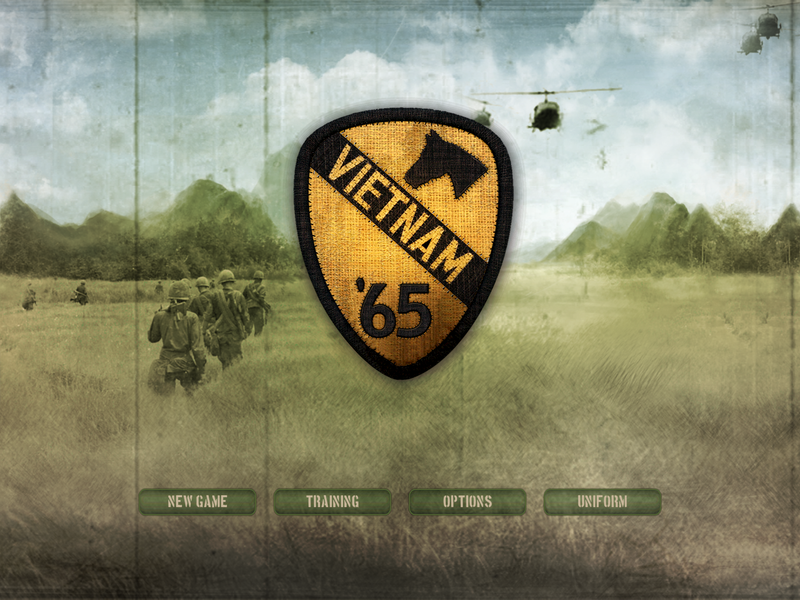 Vietnam ’65 is a war game which exemplifies this logistical aspect. The location is Vietnam and the year is 1965. The Counterinsurgency (COIN) war in Ia Drang Valley is just beginning. You as the Americans have to protect 10 villages from the Vietcong insurgents’ attacks and subversive attempts to turn the hearts and minds of the local populace. You ‘win’ if you manage to protect the villages and keep the support of the people. 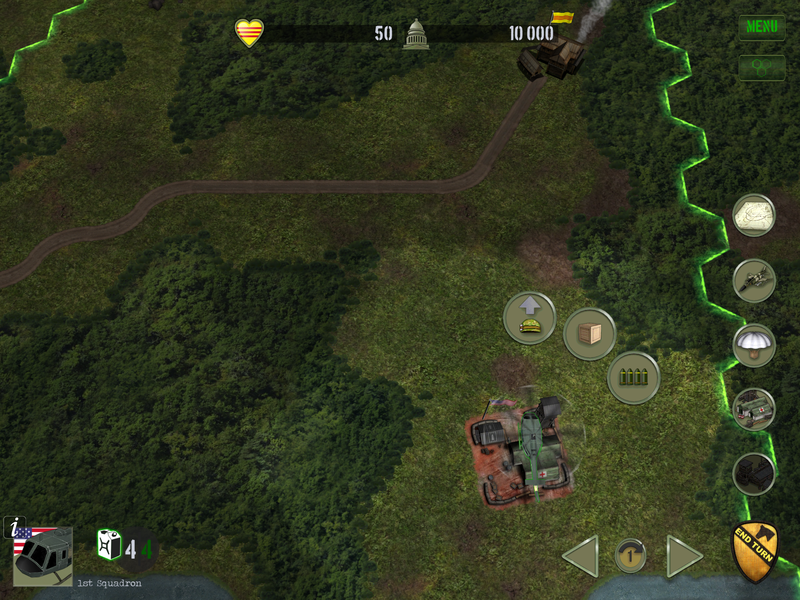 The game starts you off with one main base at the edge of the map and you have to work your way thru dense jungles and limited road network to reach all villages. 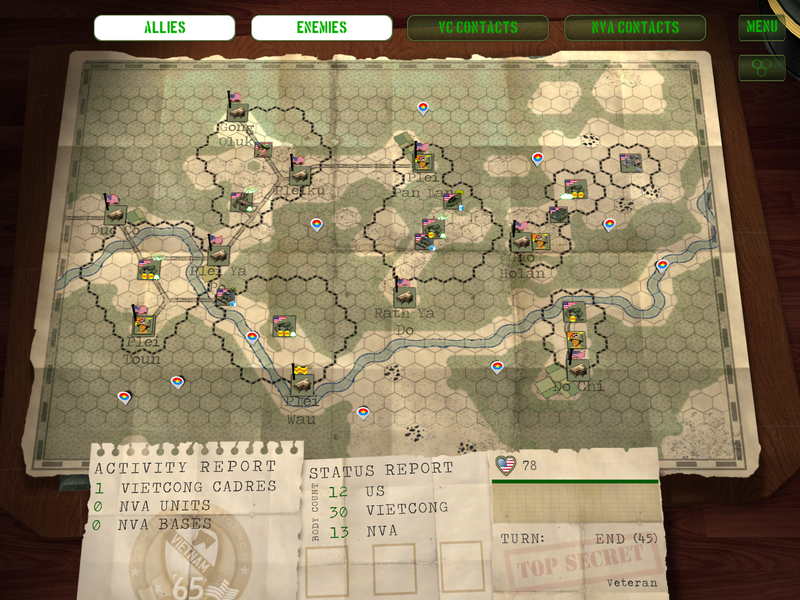 There’s no handholding, the game throws you into the deep end immediately as you figure out frantically where to build your bases and deploy transports maximize the reach of your units with limited resources. Out of supply units will die and it’s a constant juggling act to keep as many of your guns out in the field at the same time. A wrong choice can quickly spiral into one complication after another as you lose valuable units and even Political Will for the war. Conversely, military success will gain more Political Will to deploy additional military hardware. As you can see I really like this game and find the challenge stimulating. 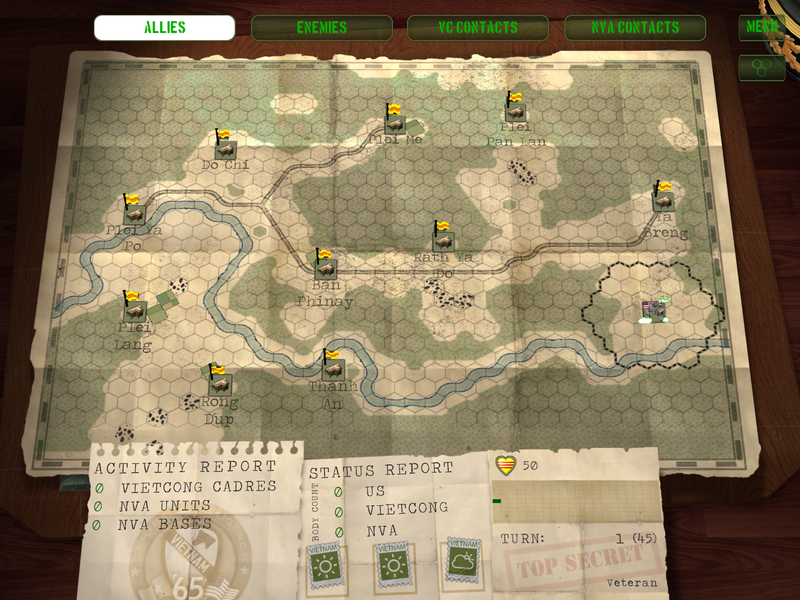 Result of my first normal game: decisive victory. 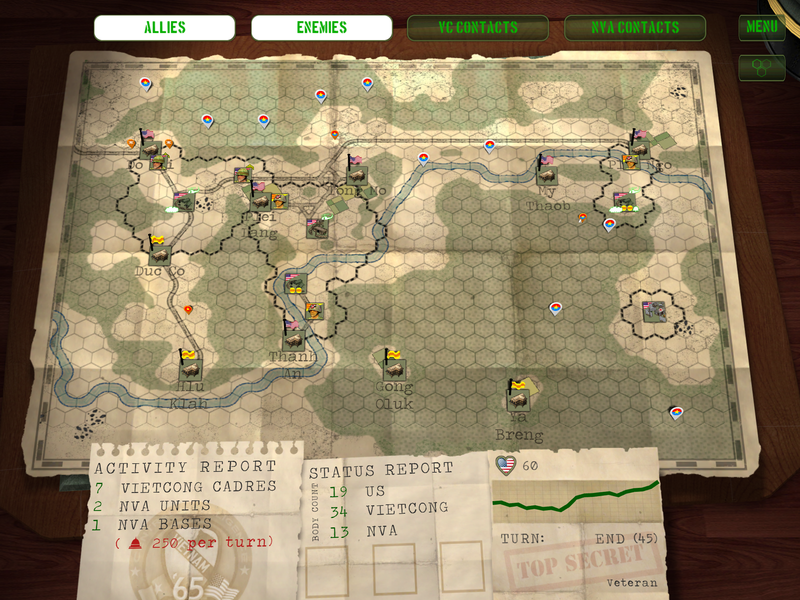 For my second game on the veteran difficulty: still decisive victory.